We appreciate your patronage. These rules are to ensure safety during your visit. • Do not attempt to load, adjust or repair trap machines. Notify club personnel by turning on the Red Beacon light, stay in stand until gun is fixed. Safety first and foremost always. 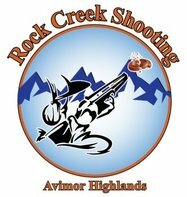 We hope your experience at Rock Creek Shooting is rewarding and memorable.